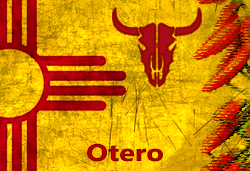 Looking for a job in Otero County New Mexico? This Otero County New Mexico job guide is a resource for job seekers looking for legitimate employment opportunities in the region with an emphasis on government positions, top healthcare employers, public school careers, and major job boards. The Mescalero Apache Tribe owns and operates the Inn of the Mountain Gods Resort. Inn of the Mountain Gods periodically hires for positions in Accounting, Child Care, Finance, Food & Beverage, Gaming, Golf Course, Hotel, IT Department, Maintenance, Marketing, Retail, and Security. PreCheck provides background investigation services for a diverse range of clients. Here you may periodically find employment opportunities such as Technical Support Analyst, Desktop Support Technician, IT Business Analyst, Database Administrator, Software Developer, Investigator, Employment Verifications Investigator, and Applicant Investigator. Lowe's is a neighborhood market committed to customer service. Employment applications are available on their site. Use the store directory to contact individual retailers regarding open positions. First National Bank had been hiring Bank Tellers. Check for new listings. Otero Federal Credit Union accepts applications at any time and will pursue employment prospects as positions become available. Beall's, Inc. is the parent company of Burkes Outlet Stores, Inc.
Otero County is a great resource for browsing ongoing employment opportunities. During review there were open positions available that included Sheriff Deputy, Part-Time Dispatcher - Telecommunications Operator, Detention Officer, County Attorney, Mapping Technician, Equipment Operator, Paralegal, Rifle Range Attendant, Human Resource Director, Fire Fleet Mechanic, and Deputy Clerk. Visit the county jobs page frequently for updates. Alamogordo had employment opportunities. Listing found had included Custodian, Assistant Food Services Administrator, Certified Police Officer Full Time, Collections Center Laborer, Facility Maintenance HVAC Technician, Golf Course Superintendent, Mechanic Level 1, Parks Laborer, Police Officer Trainee, Public Works Inspector, Safety Officer, Utility Line Locate Technician, Wastewater Plant Laborer, and Water Plant Technician. Visit their site for new listings. The Village of Tularosa was hiring. Openings included Backhoe Operator, Laborer, Pipe Layer, and Water Truck Driver. All federal job openings at White Sands Missile Range are currently posted on USA Jobs. Holloman AFB supports about 21,000 Active Duty, Guard, Reserve, retirees, DoD civilians and their family members. Gerald Champion Regional Medical Center had a high volume of employment opportunities on this review date. A survey of open positions available had included Registered Nurse Emergency Department, HIM Supervisor - Health Information Management, Certified Medical Assistant, Environmental Service Specialist, Steward (Food Service Worker), Clinical Resource Nurse Med Surge, Registered Nurse PACU, Licensed Practical Nurse LPN, Patient Service Assistant - Behavioral Medicine, PRN Nursing Jobs, Registered Nurse RN Jobs, Cook, Radiology Technician (ARRT), Physical Therapy Assistant, Medical Billing Specialist, Administrative Secretary Human Resources, Phlebotomist, Certified Occupational Therapy Assistant, Physical Therapy Assistant, Diagnostic Imaging Assistant, IT Assistant, Patient Transportation Specialist, MRI Technologist, Coder Level, PBX Operator - Telecommunications, Registered Nurse Operating Room, Medical Laboratory Technician MLT, Social Worker - Therapist (LISW/LCSW/LPCC), PRN Registered Nurse RN Cath Lab, Registered Nurse Surgery PRN, Dietitian, and Registered Polysonographer Technologist. Casa Arena Blanca Nursing Center offers individualized care in a warm, supportive atmosphere. Available positions found had included Dietary Aide, Certified Medication Aide CMA, Registered Nurse RN Sign on Bonus, Licensed Practical Nurse LPN Sign on Bonus, Staff Development Coordinator RN, and Certified Nursing Assistant CNA Sign on Bonus. Mescalero Indian Hospital is a part of Indian Health Services IHS. Indian health programs are seeking health care professionals who are passionate about practicing within a unique, interdisciplinary team-based environment. Openings in Mescalero included Clinical Nurse, Medical Officer (Family Practice), and Pharmacist. MountainView Urgent Care is staffed with on-site physicians, nurse practitioners, physician assistants and registered nurses. Addus Home Care is a client-focused, innovative and forward-thinking company and always looking for top talent. During review there had been open positions for Aide Caregiver. Alamogordo Home Health and Hospice had been hiring for the position of Social Worker. Check for new listings. Alamogordo Public Schools had a high volume of employment opportunities for certified teachers and support staff. A survey of employment opportunities found included Kindergarten Teacher, DD Preschool Teacher, 1st Grade Teacher, School Custodian, 3rd Grade Teacher, 5th Grade Teacher, Vocational Teacher, Music Assistant, 5th Grade Elementary Teacher, SPED EA Autism, Part Time Activity Bus Driver, Assistant Football Coach, Girls Track Coach, Boys Track Coach, 7th Grade Boys Basketball Coach, Football Coach, 9 Grade ELA/AHS, High School Teacher, Family & Consumer Sciences Teacher, Spanish Teacher, Math Teacher, Science Teacher, Custodial Jobs, School Secretary, Elementary School Custodian, Art Teacher, ELA Gifted, Receptionist - Attendance Secretary, Physical Therapist, IEP Specialist, BEST Program Educational Assistant, SPED Math AHS, SPED Resource Teacher, Low-Incidence ED Teacher, Special Ed Math Teacher, Special Education Teacher-English, Middle School Special Education Teacher ELA, Special Education Teacher, Food Service Worker, Student Nutrition Kitchen Manager, School Improvement Grant - Behavior Specialist, Military Connected Counselor, Physical Therapy Assistant, and Speech and Language Pathologist. Tularosa Municipal Schools periodically hires. Employment listings on this review date had included Activity - Athletic Bus Driver and High School Teaching Assistant. Cloudcroft Municipal School District recruits and selects highly-qualified candidates for open positions. Here you'll find application instructions for Teachers and Administrators, Substitute Teachers, and Bus Drivers. New Mexico School for the Blind and Visually Impaired Alamogordo had open positions for Education Assistant Substitutes, Registered Nurse Substitutes, and Speech Therapists. New Mexico State University Alamogordo periodically hires Administrative, Adjunct Faculty, and Regular Faculty and Staff. Legacy Christian Academy is an Alamogordo Private School that focuses on educating and partnering with families to disciple future community leaders of tomorrow. Opportunities found included mostly volunteer positions like Lunchroom Help, Recess Duty, Care Staff, and Classroom Aid. Alamogordo Daily News Classifieds Jobs | The Job Network is a platform to browse and apply for jobs. Otero County Economic Development provides labor market information, wages, economic data, and key employers. Open positions found had included Accounting Technician, Child and Youth Program Assistant, Accounting Clerk, Guest Service Manager, Cook, Laborer, Food Service Worker, Waiter, Recreation Assistant, Lifeguard, Custodial Worker, Custodial Jobs, Cashier, Operations Clerk, Fabric Worker, Automotive Mechanic, Purchasing Agent, Bartender, Theater Custodian, and more. The Bureau of Indian Affairs may periodically hire for various positions in the Otero region.